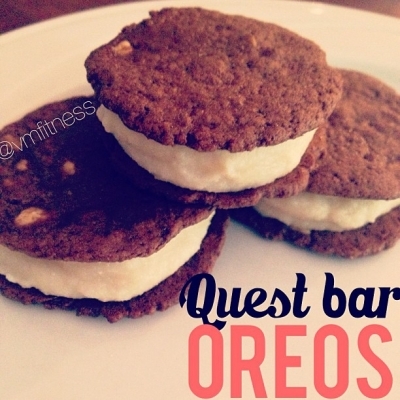 MM Quest bars are so versatile! You can even make them into OREOS! plop mixture thin and evenly onto 6 of the cookie circles and use the other 6 to top! You get 6 delicious protein filled Oreos!